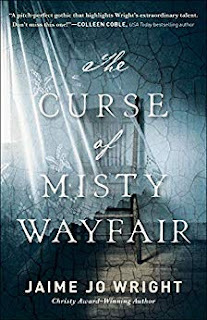 The Curse of Misty Wayfair by Jaime Jo Wright is the author's third book and maybe her best so far. Having read Jaime's previous two books, I was excited to read the third one. Here, she brings the same skillful storytelling that she is known for. But this book stands apart from her first two in bringing a whole new level of suspense and creepiness. I absolutely loved it! I love reading mysteries and thrillers and not many books terrify me. This book did just that. I had some trouble reading it at night, which never happens. Jaime is so talented in her ability to tell two stories simultaneously and weave multiple decoys and terrifying events in both story lines. Honestly, Jaime could teach a class on how to build suspense and I am positive that many experienced writers would want to take it. Who is this book for? Don't be deterred by the suspense. 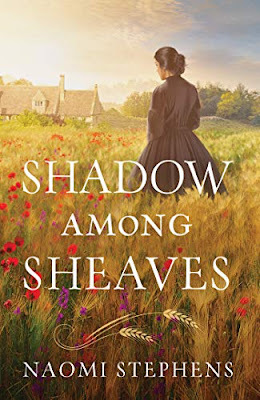 This book is for anyone who loves amazing storytelling, historical fiction, and novels filled with tangible hope. I love the novel's strong theme of hope that is rooted in who God is yet never comes across as too preachy. I believe this book would appeal to people of many different background and ages. Don't miss this book! 2019 is only beginning but I think I just read one of the best books of the year. I received a digital copy of this book from the author with no obligations and would have purchased it anyway. These opinions are entirely my own.